With global confidence returning to the market we should see a pullback on the USD. Not to metion any effect Buffet’s recent remark on the inevitability of inflation in the comming years will have. Cinco De Mayo: A Credit Default Party? 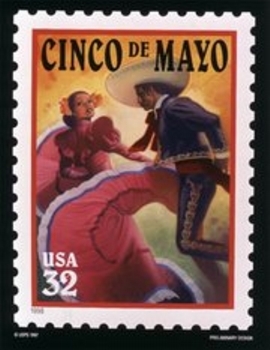 Cinco De Mayo garners it’s roots from a credit crisis occuring in Mexico the year of 1861. President Benito Juarez stops credit payments to the English, Spanish, and French. Ensuing conflict between the nations arose, and while the Spanish and English’s attempts were quickly thwarted, the French however had differnt plans. Mexico’s rag-tag army of 4000 proved to be too much for a the 8000 man amry of French Dragoon’s and renegade Mexican milita. So why not gather a bit of extra holiday cheer this year? Who can’t forget about our nations own economic woes in a fog of tequilla dancing the Cha-cha? Busting out of resistance and out and up to the 2 dollar range. Coeur D Alen right now is fire. I’m looking to hold into the next resistance level around 2 dollars. The symmetrical triangle is no more, and bollinger bands have be been breached to the upside. With China buying up precious metals, and the dollar looking weaker and weaker as we speak, I’m turning bullish on the PM mines and metals in general. CDE happens to have the best technicals right now.